Starbucks has made headlines over the past year for reasons good, bad, and silly—plastic straw alternatives, racial insensitivity, holiday cup outrage—which distracted us from a major initiative the company had launched a few years ago: those fancy-pants Reserve stores. 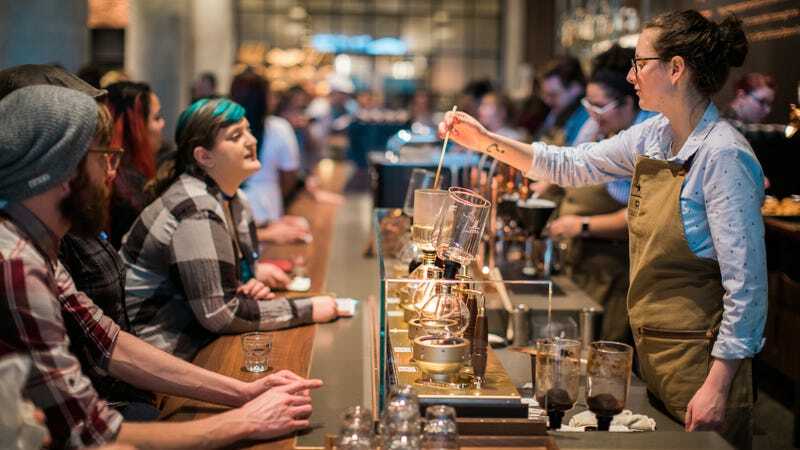 As recently as last year, Starbucks touted its goals of opening 1,000 Reserve locations complete with gourmet pastries, cocktails, and “immersive” coffee-roasting experiences. But this week, Starbucks is changing its tune, saying it will open as few as “six or 10” Reserve stores before deciding whether to proceed with the plan. The Wall Street Journal reports new CEO Kevin Johnson is massively scaling back the project, which at one point anticipated that 20 percent of global Starbucks locations would become Reserve stores. “One thousand was an aspiration,” he tells the WSJ, declining to put a numeric goal on the number of future Reserve stores. He says the company will test the success of its current or in-planning Reserve locations before deciding whether to move forward. The change in strategy comes as Starbucks struggles to find footing in an increasingly competitive coffee market; the company began missing sales targets in 2016, the WSJ notes. Pressure on Starbucks comes from both the top and bottom of the market, as premium, independent roasters spring up in more cities and as less expensive coffee chains like Dunkin’ improve their espresso offerings. The question is now whether delivery, the order-ahead app, or the Turkey Stuffing Panini can save Starbucks, because Reserve stores aren’t proving to be the savior the company hoped for.